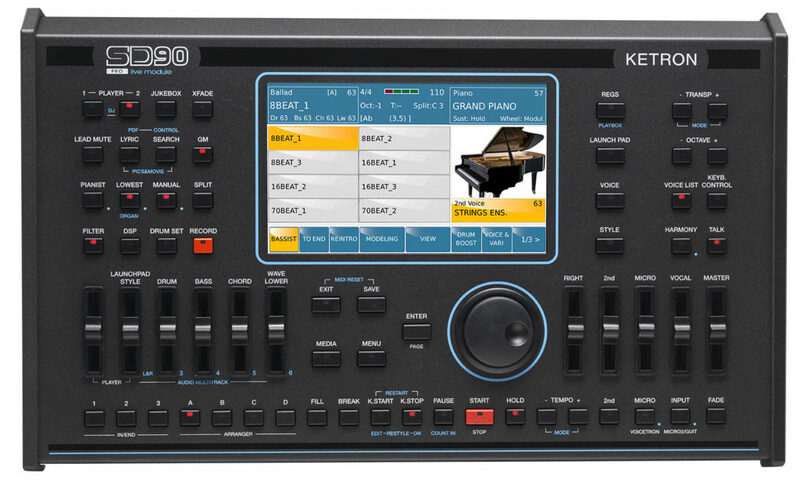 If you need a professional musical instrument that can back you up and enhance your music in real time with Live Audio Drums, Guitars, Bass and much more then the Ketron SD90 is for you. It’s a music station with high-quality sounds, styles, and tons of features geared towards musicians and studio engineers which are very easy to control thanks to it’s large color touch screen. The Launchpad feature allows you to seamlessly interact between MIDI and audio files during your performance. It has the same features as the SD9 or SD60 keyboards, just without the keyboard, allowing it to be used with any MIDI controller or in your MIDI studio with any DAW. Contact us at curt@immusic.co or 407-494-2878 for additional information or to place your order for any of the Ketron products listed. Find a better price online? Contact us and allow us to match or even beat it!